In public elementary schools. We work to develop students’ abilities to communicate and to prepare them to interact with the conditions of a global world. By doing so, we recruit local and international volunteers. I came to Espaanglisch Peru hoping I could help the program while improving my Spanish. After two months of service, I was permanently changed for the better. The students taught me more than I ever taught them. If you are an adventurous person who is open to a new culture and you love a challenge, you will be enriched by volunteering at Espaanglisch. The world is improved one small dream at a time and nothing compares to the smile you put on the face of a child who has very little in life. Consider helping Espaanglisch make the world a better place. We teach English to primary students from impoverished communities, four days a week. We provide materials and develop the curriculum during our weekly teacher meetup. 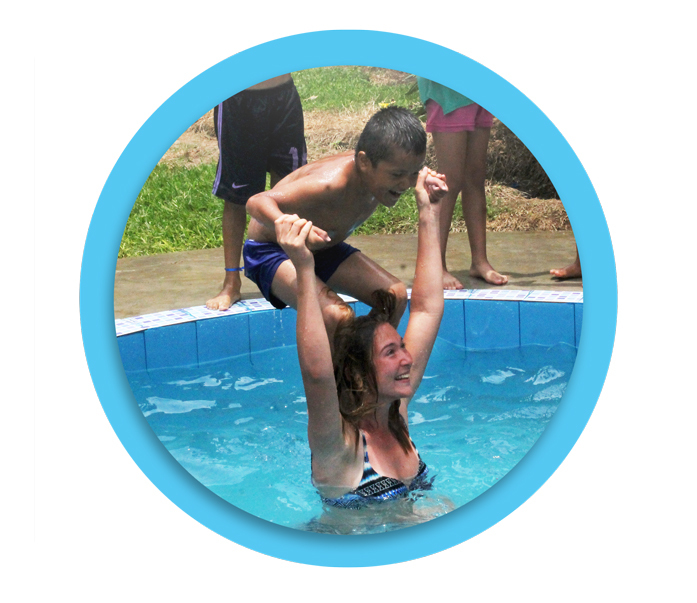 We team international volunteers with local Peruvians to teach the classes in pairs. High school students come to the Espaanglisch Casa twice a week to take free English lessons. We cultivate an environment that allows students to enhance their English language skills by practicing with native speakers. In January and February, during Peru’s summer break, we expand our program to include art, games, and sports all focused on improving the English skills of the students. At the end of the summer, we take a field trip as a reward to the kids. We organize campaigns to raise funds and materials whenever we see a need in the schools or in the surrounding communities. Past campaigns include providing backpacks and supplies for the students and providing food for community members after the El Niño mudslides. Conversation class is held in the evening for adults who do not otherwise have the chance to practice their English skills. An enriching experience for both the local Peruvians who get the chance to practice their English and learn about different cultures and for the volunteers who learn about Peruvian culture and gain new friends in the process. 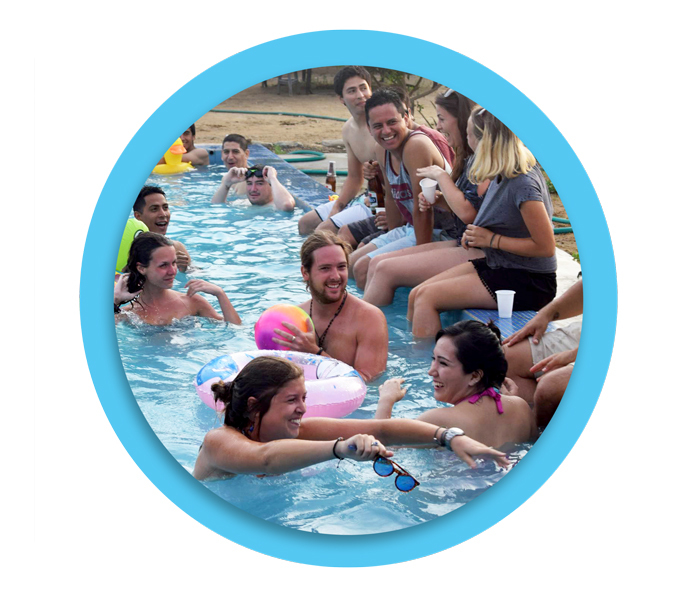 We organize social activities in the Trujillo area to give our volunteers the chance to interact with locals and volunteers from other organizations. The funds raised from these events are used in our school programs.